Ok I was a busy boy today,,,,I dropped that N20 motor and trans today,,,,I got the new motor today,,,,got the motor in 1 day because there was only one N20 engine in all of America ,,,,,so we got a rush on it before someone else got the engine. This motor is very easy to remove,,,plenty of room in the engine compartment,,,,,hopefully I can do the job in the aloud factory time limit of 16 hour,,,,,today of 6 hours of work,,,,I removed the engine and trans,,,removed the old engine,,,swapped over the new engine,,,,and swapped over the intake manifold,alternator,a/c compressor and starter motor,,,,tomorrow hopefully I can finish it,,,,that would be nice,,,,,what to get done with this motor. 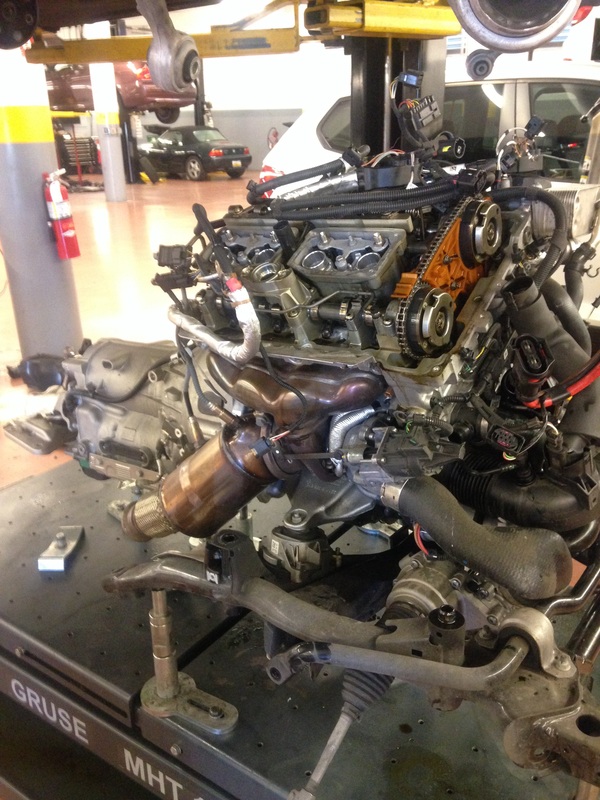 This entry was posted in Uncategorized and tagged engine, N20, swap. Bookmark the permalink. No you don’t have to calibrate the dome for a new engine,,,,but did you calibrate the fuel injector for each cylinder. yes, I calibrated each injector, but it still won’t start. The plugs still foul out very quickly. it sounds like it wants to start and immediately shuts off. I’ve even put new injectors with new plugs and still fouls out very quickly. Before the original engine died, the computer went into limp mode and transmission is stuck in neutral. would that prevent the new engine from starting? I assumed the dme was in limp mode because the old engine died. Oil pimp chain broke and caused the engine to overheat and through a rod. Can it be cleared with the DIS tool or do I need to go to the dealer? Hello BMW tech. I recently read an article that made me kind of mad. It was an article about engine reliability and engine failures. The article was fairly new too. It ranked BMW as the 2nd to last in engine failures. I thought BMW engines were pretty reliable and made to drive hard? How reliable is the N51/N52 engine in your experience? How many miles do they usually last? Thank you for your input as always! N51/N52 is one of best BMW engine,,,they are pretty much bullet proof,,,they some issues just like every engine,,,they have ignition coil issue,,,,that’s about it,,,,good reliable engine. Good to know the engine is reliable. 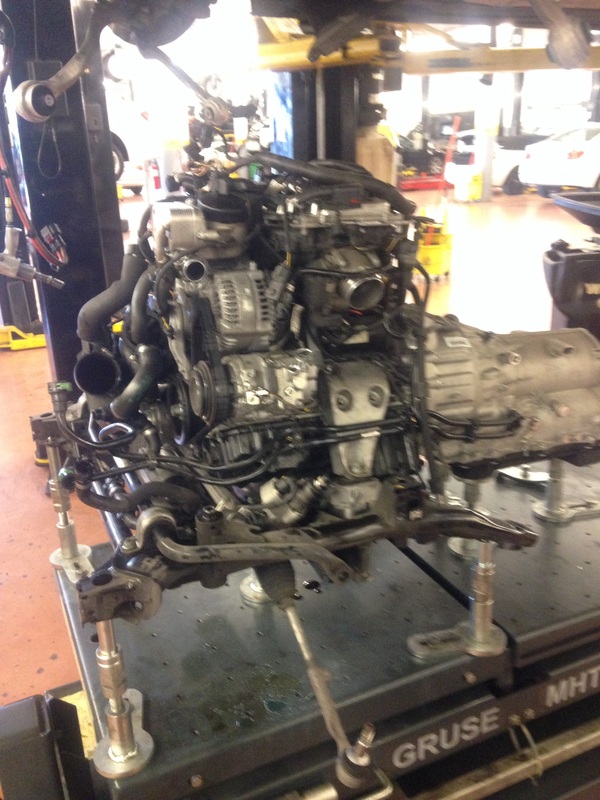 What do you think about the GM transmissions on the 328i coupes? Are they reliable? Oh gosh. Only 120K? What usually happens on the trannys. Clutch slip or bad valves? Have you seen them go maybe 200k? I’m looking to keep my car for a while. 120k seems like it is not a good transmission? Hi, I did a engine swap on my n20 328i and now I have vibration only at 800-1000rpm revving up or rpmdown. The symptoms exist in P/N/D at the same rpm range. I replaced engine mount, checked downpipe fitment, replaced o2 sensors, crank pulley and belt tensioner. Do you have any clue what I can check next? The replaced engine was 3000miles old by the way. Hello, i got N20 with a broken timing chain. Should i rebuild it since its an interference engine, or just swap it out? if i swap it out, anything special i gotta do, in regards to reprograming anything? Whats the software for the injector calibration, e-sys? NCSexpert? thank you!